Concrete is arguably the most important building material which plays an important role in all building structures. Its virtue is its versatility which is its ability to be moulded to take any shape required for various structural forms. The entire process of structural planning and design requires not only imagination and conceptual thinking but also sound knowledge of practical aspects, such as recent design codes, ample experience and judgment. It is often stressed that any structure which is to be constructed should satisfy the need and efficiency with which it is intended and it should be durable for its desired life span. Most of the softwares follow the same hierarchy of steps in designing. The basic steps involved are explained here in this article. Once the form of the structure is selected, the structural design process starts. 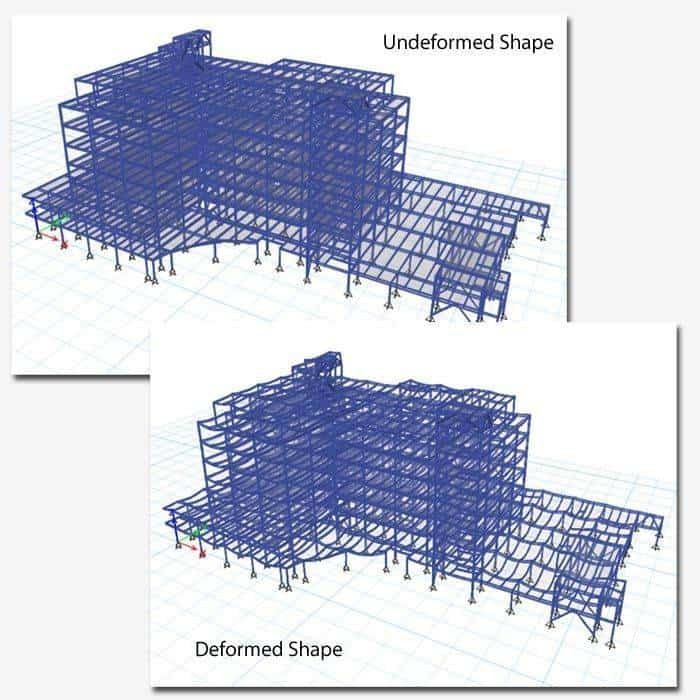 Structural designing is a combination of knowing the behavior of structural members which are subjected to loads and designing them economically and aesthetically sound to give a safe serviceable structure. Some of the general and the most used materials are pre-defined in the software. The material which suits to our building is chosen. Here in the design of concrete building, we choose concrete as the material for beams, columns and slabs. The walls can either be of masonry or concrete (shear wall) depending on the loads coming on the building. However other materials like steel and aluminum are also used in the construction. For the concrete section, rebars are used for reinforcement. The geometric properties of the sections are defined here. Beams and columns are given the basic properties like length, width and depth. Slab is given its thickness and the slab type is defined as membrane element which is used to represent only the inplane stiffness of members. In almost all the softwares, they have both the options of thick and thin shell .It is important to know which is to be applied for the specific condition. 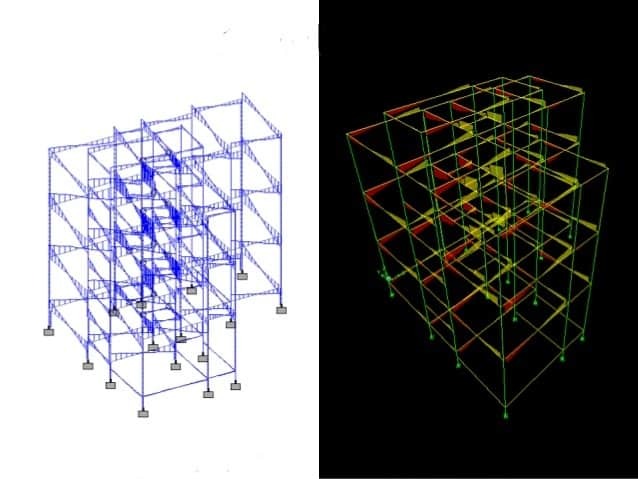 Some softwares allow users the ability to create specialized sections of any arbitrary shape and material, including rebar layout. Selecting the proper boundary condition has an important role in structural analysis. The modeling of support conditions at expansion joints and bearings needs a careful consideration of continuity of each translational and rotational component of displacement. It is common to use simple supports (i.e. fixed, pinned, roller) for a static analysis. These supports are assigned to the nodes at the base where the foundation starts. Dead load: This is the load on a structure owing to its self-weight. Earthquake load (seismic load): This load is the total force that an earthquake exerts on the structure. Wind load: wind load is the distinct load on the structure due to the wind intensities. Here the loads are applied on the sections and slab. The seismic and the wind loads are employed by the software accordingly using the respective codes. If the wall is not included then the frame loads are applied on the beams. It’s our duty to design a safe and serviceable structure and in order to do so we must predict the magnitudes of various loads that are likely to be applied to the structure over its lifetime. Hence to account for the probability of the simultaneous application of various load types, several load combinations are applied on the structure. These load combinations can be created by selecting the Indian code and also with the help of auto load combinations where they are generated by the software. The structure will be analyzed for the loads applied. Results from the analysis such as displacements, reactions, bending moment, shear forces, storey drifts can be seen on the structure. It displays results in graphical forms and also display real time-history displacements and generates reports. The deformed geometry of the building can be displayed based on any loads or any combination of loads, as well as animation of modes. Here the final design is carried out as per the codes. Concrete design is performed as per IS 456:2000 and the steel design is done as per IS 800. 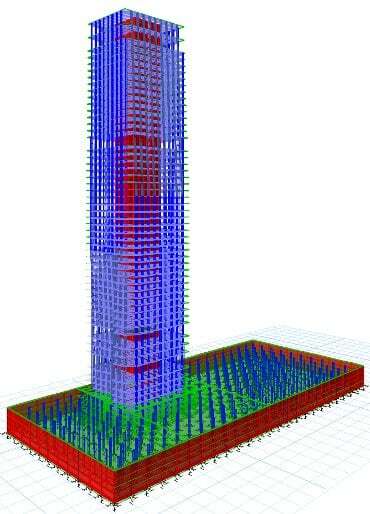 After the information required for the design is given, the software performs the design for every structural element. The design is done depending on the requirement. Eg:Shear wall design is done according to IS 456:2000 but for that a command different from the usual, is given. After designing, if some sections fail then you can do the interactive design and change the failed section and design again. 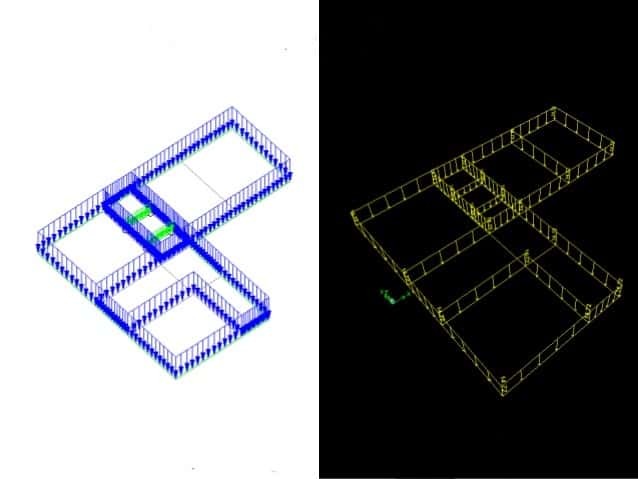 Detailing is provided in some softwares, where the rebars used should be defined. The detailing components include concrete beams, columns and walls, steel framing, beam schedules, column schedules and connections. 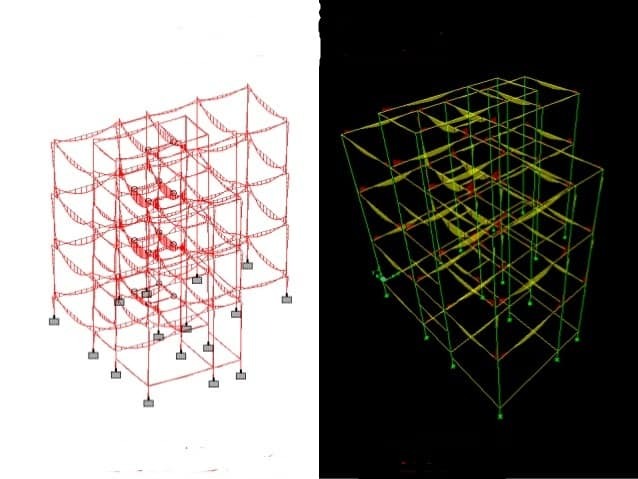 After doing the structural analysis of the structure, it is designed to find out the steel used for the reinforcement for columns and beams. 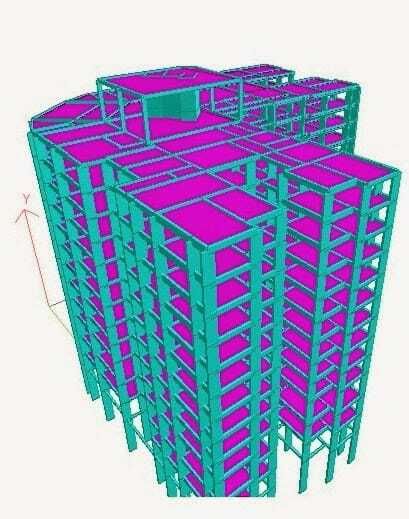 Results from the analysis such as displacements, reactions, bending moment, shear forces, storey drifts can be seen on the structure. For columns, the axial forces coming on it, the bending moment and the shear forces can be obtained. For beams, the bending moment and the shear forces are acquired. If shear walls are designed, the shear and the axial forces are obtained. All of these results are required for the complete construction of the building. Columns should preferably be located near the corners of a building and at the intersection of beams. The position of columns is selected so as to reduce bending moments in beams. Avoid larger spans of beams. Avoid larger centre-to-centre distance between columns. Earthquake is not likely to occur simultaneously with wind. The value of elastic modulus of materials, wherever required, maybe taken as per static analysis.